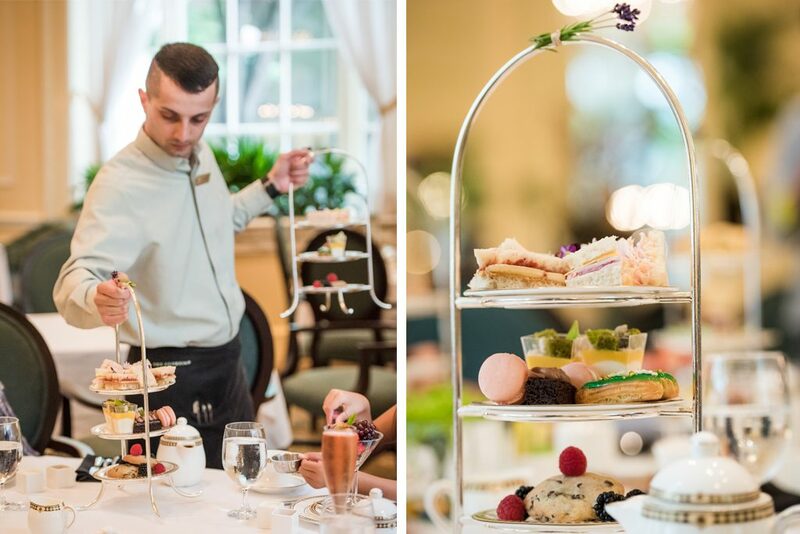 When it comes to Afternoon Tea, it is all about the experience. 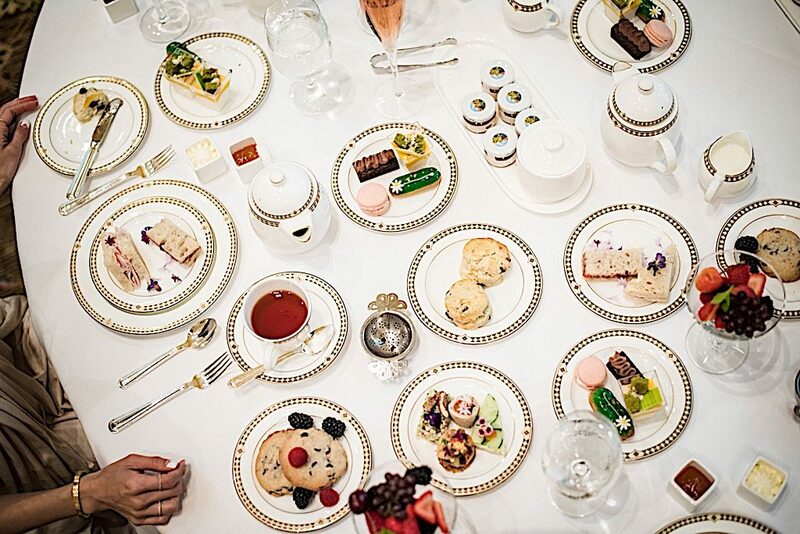 The experience of being transported to another time and place, dressing up in something fancy, munching on dainty finger sandwiches while sipping hot, exotic teas, and getting lost in the elegance and refinement of it all. Within the opulent Fairmont Olympic Hotel, Afternoon Tea is served at The Georgian Restaurant. From the marbled stairs leading up to the double door entrance of The Georgian, to the moment you step into the restaurant, you immediately feel a sense of splendor wash over you. Your eyes unknowing gaze upwards as you take in the elevated ceilings held up by grand, molded columns. Large Palladian windows show views of downtown Seattle and massive, incandescent chandeliers take over the sun kissed room. The palest shade of yellow covers the walls piped with white, intricate moldings, and plush oval-backed chairs and velvety-soft banquettes add to the exquisite decor. Every image you had about the centuries-old tradition of Afternoon Tea is reflected in this immaculate, lavish space. Tea gets underway with a glass of Prosecco, mimosa, or rosé (my selection) poured with precision and grace by a member of the well-dressed staff. 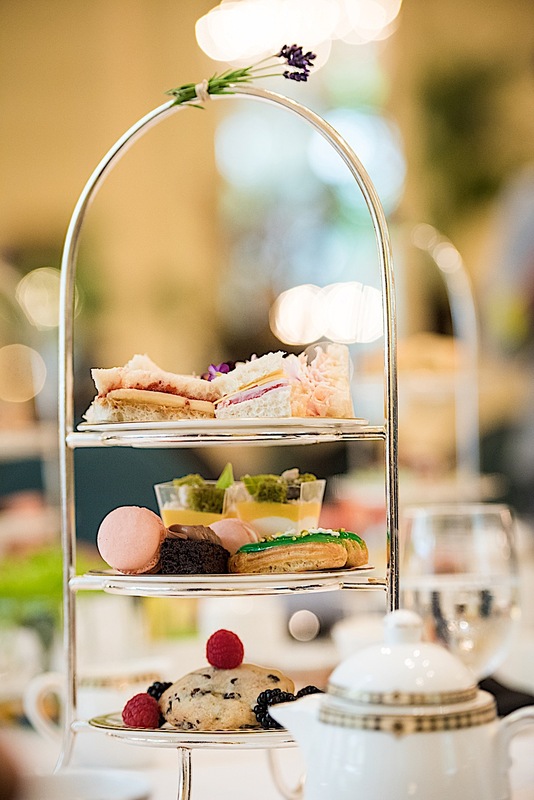 The preset Tea Menu offers an array of fruits, sandwiches, desserts, scones, cakes, and pastries, with plenty of delectables to go around and leave your bellies full. 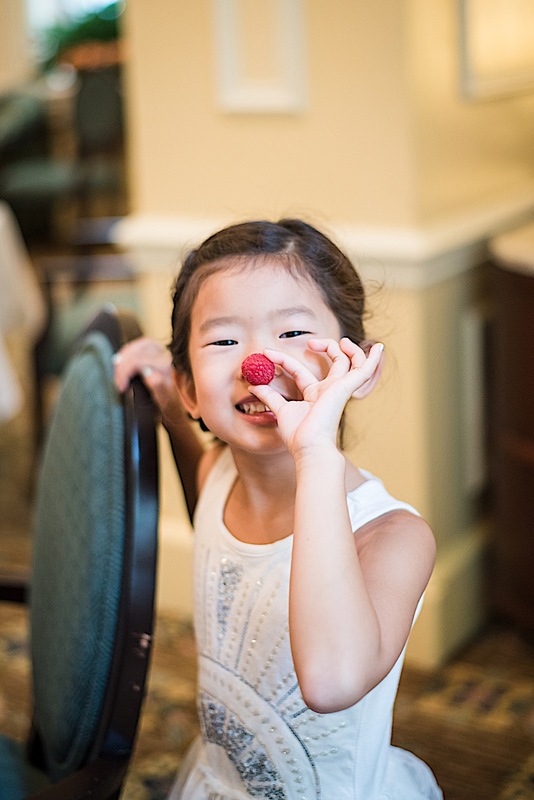 The first course comprises of a martini glass filled with the sweetest, local mixed berries, champagne grapes, and cherries, serving as a palette cleanser before the tea sandwiches arrive. The second course of tea sandwiches comes as quite a display. Edible flowers grown from the rooftop garden at the Fairmont Olympic Hotel adorn the light bites. A deluge of traditional tea sandwiches such as Curried Salmon Egg Salad and Cucumber Watercress with creme fraiche cascade down a three-tired cake stand. Also included are Grilled Prawn sandwiches with tomato jam and mango salsa (my personal favorite of the four sandwiches) and Turkey Waldorf sandwiches laden with pecans and herbs. Sweet treats add vibrant colors into the tiered display with rose water raspberry macarons, milk chocolate brownie, matcha mango cheesecake, and pistachio eclairs. All made in-house by the pastry chef, these desserts will leave your sweet tooth more than content. 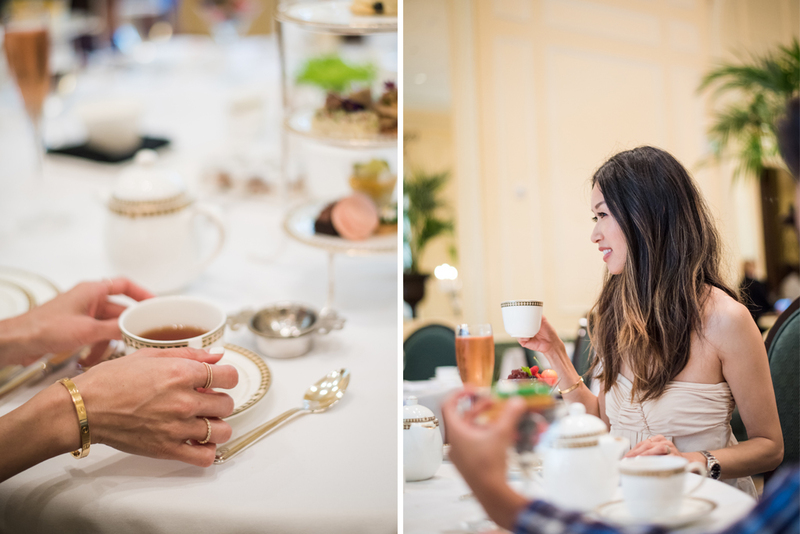 With over ten types of tea to choose from, including a 1907 Blend created for the celebration of Fairmont Hotels & Resorts Centennial Anniversary, the selection has something for everyone. 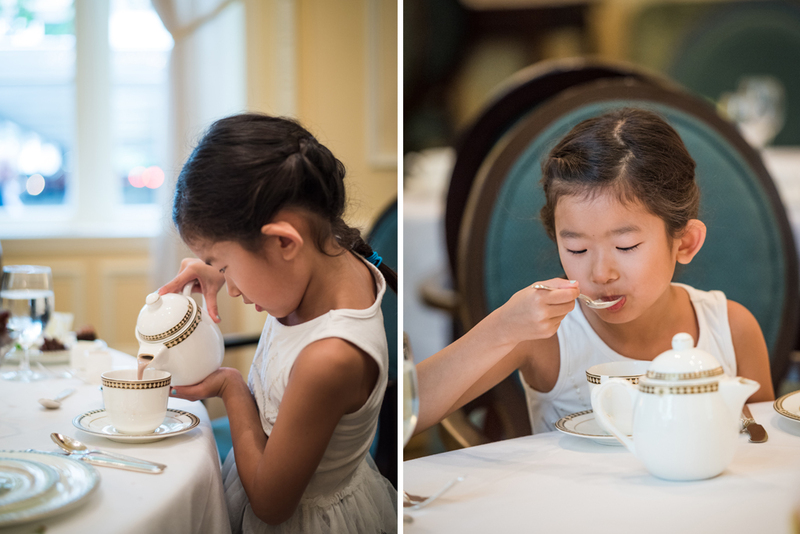 Let’s not forget the children for they have come to experience Afternoon Tea as well! While the opulence of The Georgian suits us adults, that sense of formality seems to dissipate as you hear laughter from the children who are truly enjoying this adventure. The staff are patient as crumbs litter the pristine tablecloth and requests for more mini marshmallows for their hot chocolate (in lieu of tea) are repeated over and over again. The kid-friendly touches from PB&J and turkey sandwiches to the simplest yet much appreciated chocolate chip cookies makes dining with the kiddos so much fun. The service is seamless and attentive and even personal with the Chef that comes by and introduces himself, wanting to make sure we are having an enjoyable time. 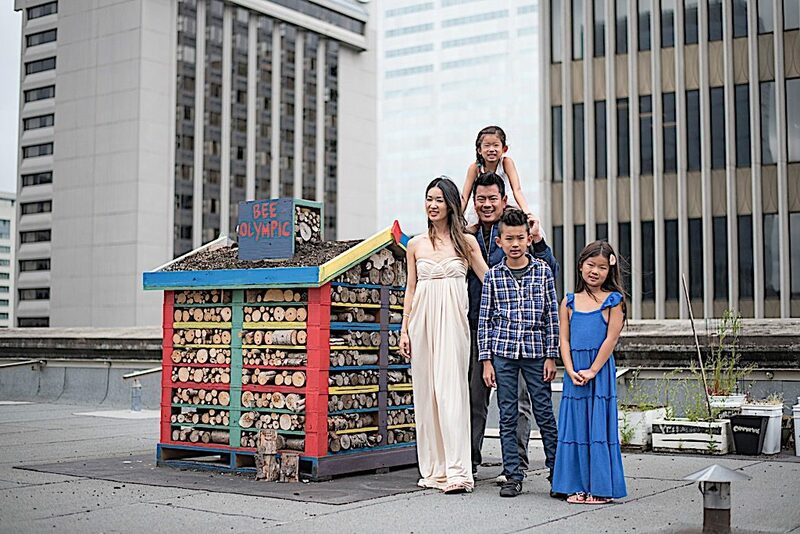 We luck out and even get tour of the private rooftop garden and beehives where the Fairmont Olympic Hotel grows their own herbs, edible flowers, and houses beehives with over 30,000 bees which produce 300 pounds of honey! This is just another example of a Fairmont Moment and experience we will never forget. 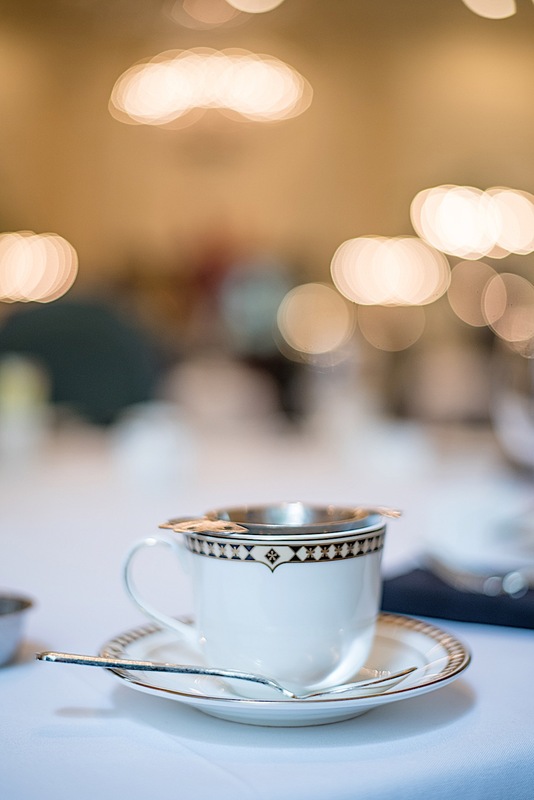 Whether you’re looking to book an Afternoon Tea for two or mark a special occasion with family, The Georgian has created a tea menu worthy of bragging rights, but more than that, an elegant experience that will be a fond memory for all. Thank you Fairmont Olympic Hotel for sponsoring this beautiful Afternoon Tea experience. Isn’t tea time the best time? It is so beautiful inside The Georgian and if you ever find yourself in Seattle, it is a must-try! This place looks so nice!!! Glad you had a great time with your family!! Hi Nina! The Georgian is absolutely stunning inside and the Tea experience is one of the best I’ve had! The kids had such a fun time too. This tea time is a dream and that such a good idea to have it with your family! I hope you all had an amazing time! Thank you Violette. 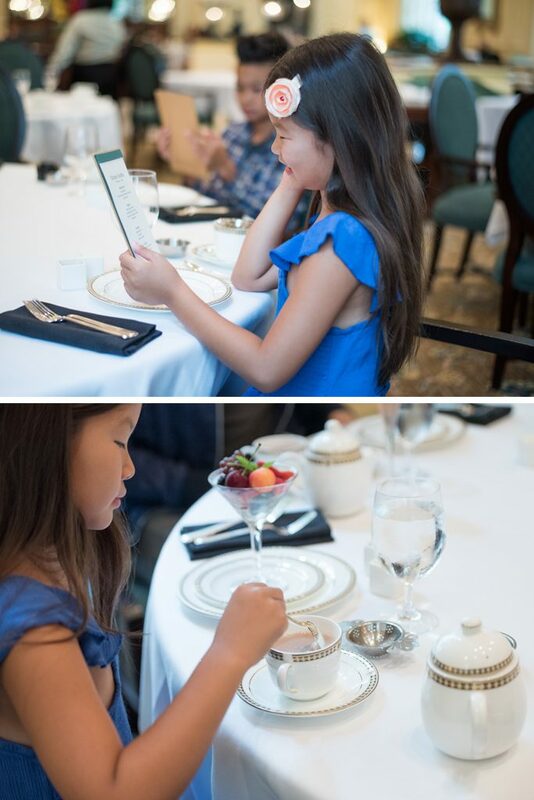 Tea time is such a great experience and I am glad I was able to share it with my kids! Thank you Keri. It was such a beautiful experience and while I love tea, this tea time was one of the best I had! The Georgian looks wonderful! I’m a huge fan of afternoon tea! I’ve only experienced it twice in HK before but I’d love to have more opportunities to enjoy tea time especially with family. It looked delectable! It’s also so cool you got to see bees and honey upclose! I admit that I’d be a little scared to be so up close and personal but it must have been fascinating and such a cool experience! The Georgian is stunning! Just being in there makes you feel so fancy and proper, just how tea used to be. I didn’t get too close to the bees as I could see them buzzing around, but it was so amazing to learn that the Fairmont Olympic actually produces their own honey! Looks like such a fun brunch spot, and perfect for everyone! 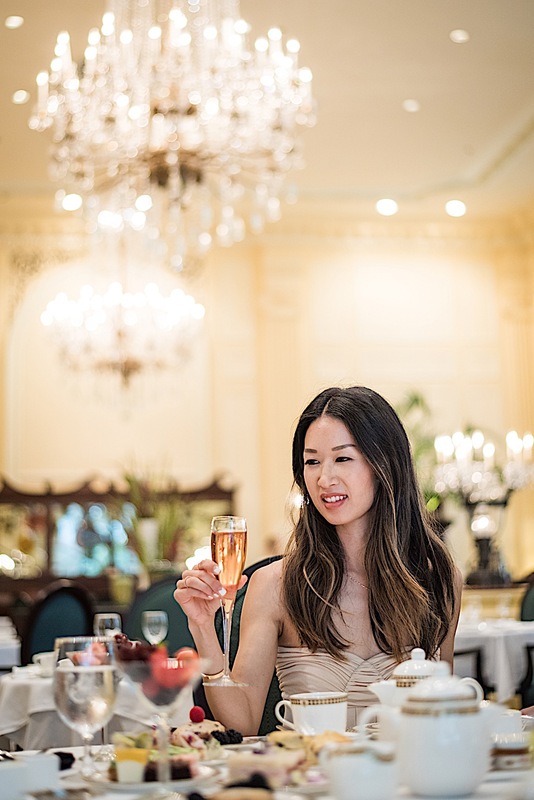 High tea is one of my favourite activities to do with my best friends but it’s never been as glitzy as the Georgian! All of these little treats look delicious and your family looks like they had a great time! I love afternoon tea time! It’s such a great way for family and friend to catch up and spend quality time over a delicious cup of tea and snack. You dress is stunning and love the way its flowy. How cute is this with the tea?? You are quite the world traveler? If you’d like to adopt me, I’ll certainly come on your next adventure and have tea with you! This is truly my favorite of all your posts and you really do know I’ve loved each and every one of them so much. 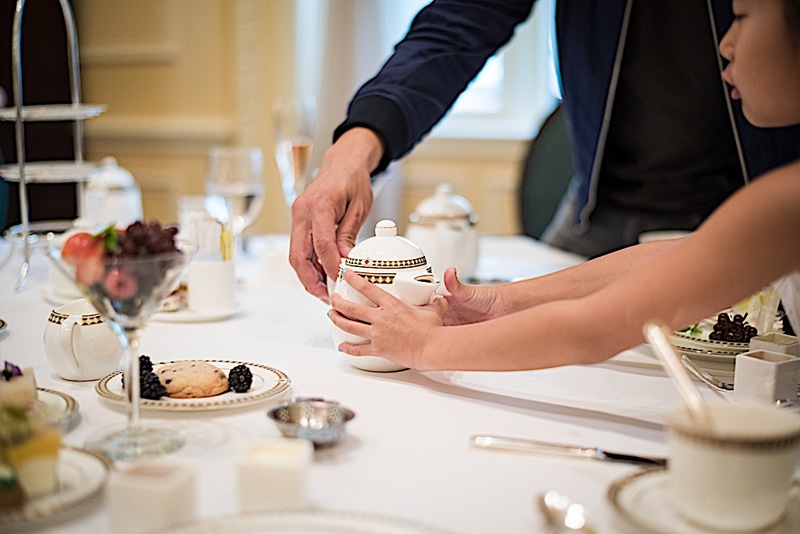 There is just someone about tea and the concept of an afternoon tea and experiencing it with whole family that is so transforming. It all reminds me of a complete different era. I would love to do this and The Georgian looks like the best place with every detail so elegant and with this magnificent menu and ambiance! How gorgeous is this place.I love the pictures.Beautiful family. I love this in so many ways! This is the cutest tea party! This just made me hungry. Everything looks so good! That tea time looks fun! Your dress is absolutely stunning too! I love afternoon teas, these are huge in London. It looks like you all are having so much fun and food looks delicious! Reading this while being hungry was definitely not a good idea. I truly love spending several hours for afternoon tea and the experience at The Georgian seems to have been a luxurious and very delicious one which I would love to attend at some point in time. Your pictures and description of it are just overwhelming and I’m dreaming myself away to those wonderful pastries right now, which reminds me I need to go get some food right away, haha. How nice can be this Tea event. I haven’t yet attended a similar afternoon. The Georgian tea party iI this beautiful Hotel looking special and unforgettable. Hope you glad a nice stay with your family . 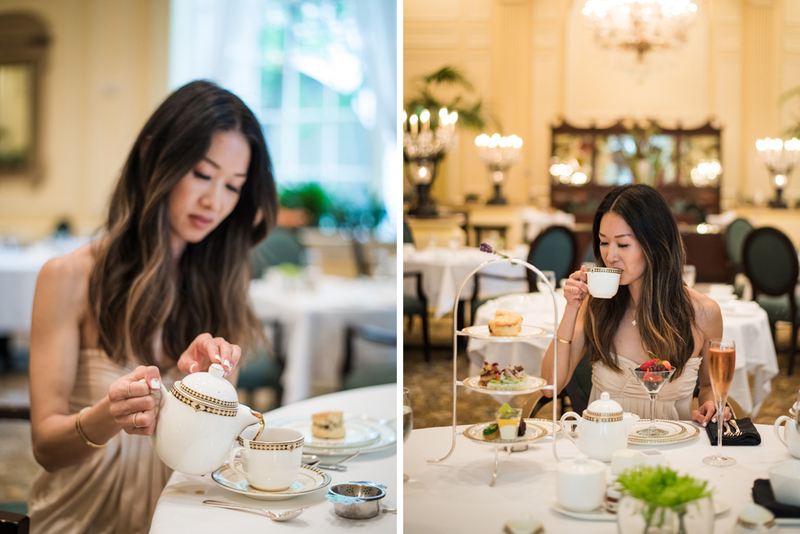 Seattle has been on my travel list for quite some time now and knowing that an Afternoon Tea exists like this that I can attend during my stay takes the cake! I am a tea fanatic and this is such a beautiful setup at The Georgian Restaurant. It’s an environment that the entire family can enjoy, kids included, as yours did from these pics. Thanks for sharing Christine! 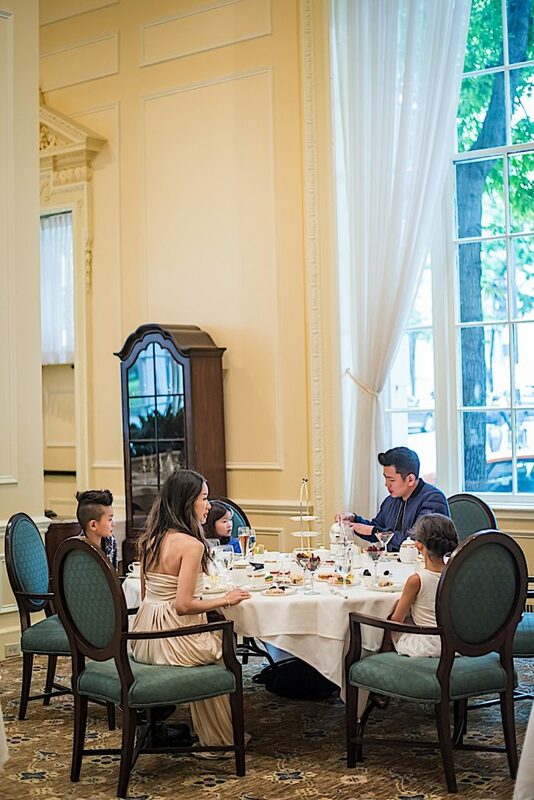 Fairmont Olympic Hotel and The Georgian Restaurant have really blown me away!.Next time I’m in Seattle I know where I’ll enjoy afternoon tea with my family! You describe the entrance alone to be so magnificent! Everything looks and sounds delicious! I’m craving sweets and am in awe of your images! I really love the idea that they grow their own herbs, edible flowers, and keep bees. It’s the small things like that, that make me fall in love with a hotel! I love that although this is not the place you’d maybe typically think to bring children too, I think it’s absolutely wonderful that they catered to them so that they could enjoy afternoon hot chocolate with those special little marshmallows! Your family is gorgeous and everyone looks to have had such a wonderful time! I can’t believe I missed the Georgian when we last visited Seattle! Granted, that was 4 years ago, but still! This afternoon tea service looked divine. 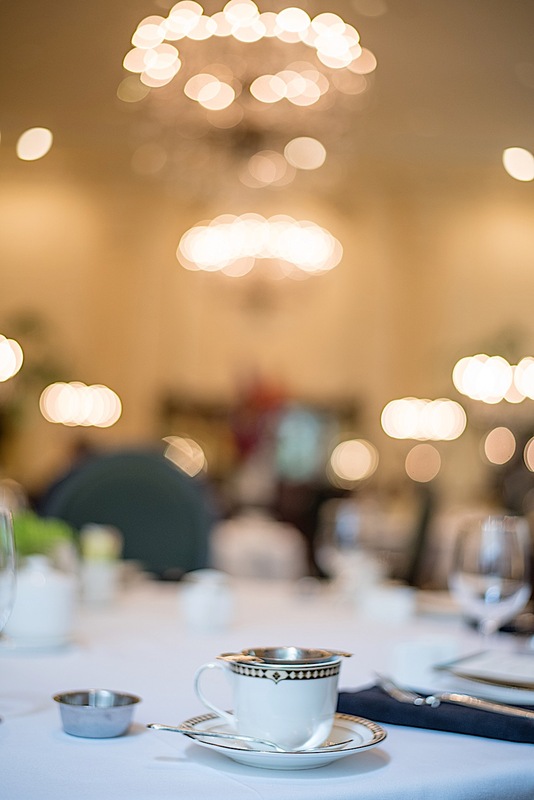 Everything from the beautiful setting, presentation of all the savory and sweet items, the care taken to ensure everyone had a great time truly speaks to the Fairmont experience. I really love that they go the extra step to harvest ingredients from their rooftop garden. And how special that you and the family got to experience it! I’m also touched at how they made sure to make appropriate substitutions for the kids so they too could have a great time as well. Thank you for sharing such a luxurious and special occasion with us. The photos are so beautiful and capture the entire day perfectly! What an elegant space! I love how you photographed it! Aww, you wrote so wonderfully about the Afternoon Tea ceremony. This is probably one of my favourite things to do. And OMG how gorgeous this place is as well as all the photos you’ve taken. I’ve always had a soft spot for such places, I love its proud look and the atmosphere. It’s like time-travelling, right? What a lovely and elegant afternoon you guys spent! 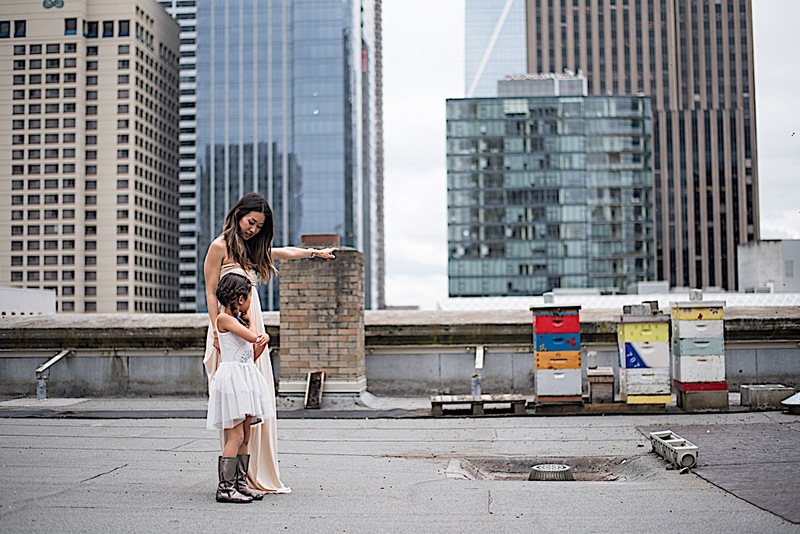 Looks like a lovely time with your family and I LOVE these photos! Everything looks so delicious and the Georgian restaurant is mind-blowing!! The service seems flawless and I love that they grow their own herbs! Your family is adorable. I can’t believe you have 3 kiddos! I love your description through this whole post; it’s like you transported me there. I’m in the PNW, I’ll have to give this place a shot! This looks so lovely. I lived in LA my whole life and had NO IDEA you could do this. I’ll have to go when I go back home. The service, the dishes and everything just looks impeccable. Glad you and the fam got to have some bonding time over tea! OMG Christine what a picture perfect family and experience! 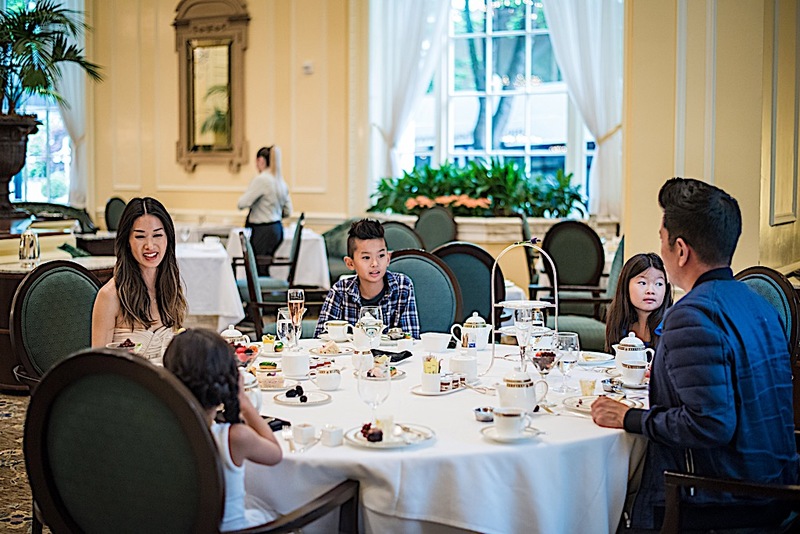 this high tea place is goals, and you and your whole family is so cute! please take me here next time i visit here?? haha. looking gorgeous as always, so much love!! What a lovely afternoon tea spread The Georgian Hotel has! I love these pictures of you and your beautiful family. Your kids are so adorable!! What a nice place! I can’t get enough of your beautiful and good looking family. You looked stunning in that dress, I mean let’s be honest you always look amazing. I love high teas and The Georgian looks amazing!! The plush seating, luxurious interior is so inviting! I love how the family dressed up for the high tea, your son is so stylish with his mohawk!! I love that they have kid friendly options like hot chocolate and PB&J and friendly/patient staff is so important. I have taken Miss K to Peninsula for high tea on her 2nd birthday and she loved it and I can totally see this as a regular mommy and me thing. The tour on roof top for the house made bee is so interesting but I wouldn’t have the nerves to go to near it. Such a lovely article, really enjoyed reading it! I’ve experienced afternoon tea two times (both in Paris). The Georgian got to be an opulent and mind-blowing place. I’m impressed with their service (though I’ve had afternoon tea in the best Parisian places, I’ve never met the chef and got a tour of the private rooftop garden). All pastries and sandwiches look so tasty that I have no doubt you had a wonderful time there. 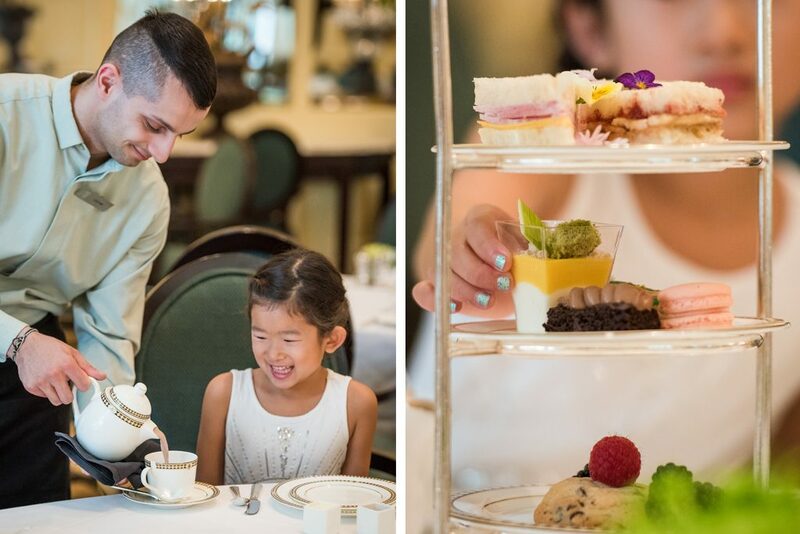 Hope to visit Fairmont Olympic Hotel one day, and ofc to have an Afternoon Tea at The Georgian Restaurant. I’ve experienced afternoon tea two times (both in Paris). The Georgian got to be an opulent place. I’m impressed with their service (though I’ve had afternoon tea in the best Parisian places, I’ve never met the chef and got a tour of the private rooftop garden). All pastries and sandwiches look so tasty that I have no doubt you had a wonderful time there. By the way, I’ve just got stunned when I’ve read about houses beehives in the hotel. How’s it possible? 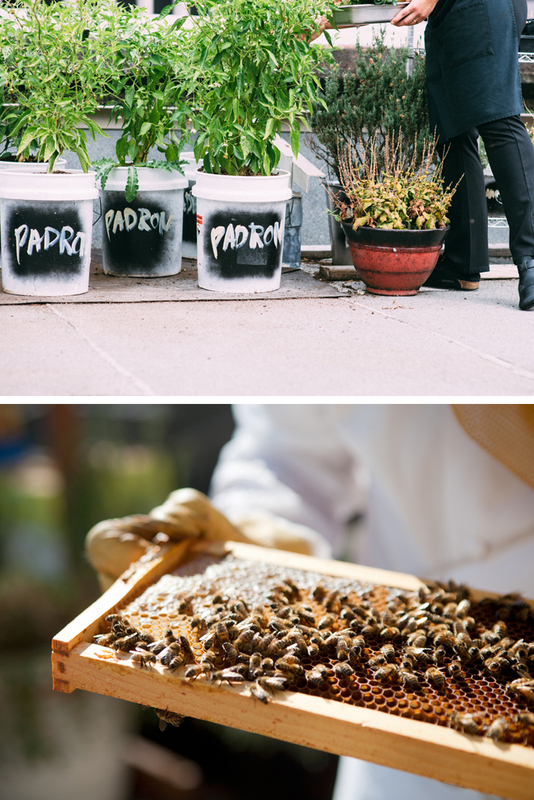 I’ haven’t heard about hotels that grow herbs, edible flowers, and have bees – sounds amazing! This is probably the fanciest afternoon tea I’ve ever seen! I love how all the tea and the finger foods are presented on the table, and I can tell the staff was very accommodating through your photos. I hope the entire family enjoyed this! Now that’s a spot! I am huge fan of tea also, so I would really like to visit the place. You pictures are really beautiful, btw. I love a good afternoon tea! They’re so much harder than expected to do correctly, but I love how this one sounds and looks! Presentation is great, always good to have a good tea in addition! I love trying new afternoon teas like I love looking for new spa’s in hotels!! Looks so elegant with a great variation of pastries!! Such a great memory and experience to share it with your beautiful family babe!! I loved the pictures of the family in this post and in your other posts. It shows that you can visit these places with you family and it’s fun for everyone. Thanks for sharing! I love the photos there are amazing. I am working my way around the London afternoon teas at the moment. There are some lovely ones. Ahhh, such a gorgeous family. I must go here with my kids.